This card is up on the Papertemptress blog this morning. 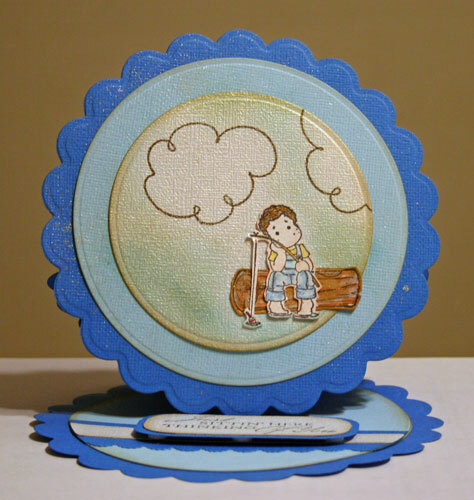 I paired this adorable GinaK image with some lovely papers from Papertemptress and this beauty was created in no time at all. I first stamped my image on Neenah Solar White and colored it with my Copic Markers. Using Spellbinders Wonky Squares I cut the image, then cut the second layer from Gold Sparkle, then cut the third layer from Blue Leather. The second and third layers were also embossed with the dies and I love how the papers withstand the pressure of the embossing. 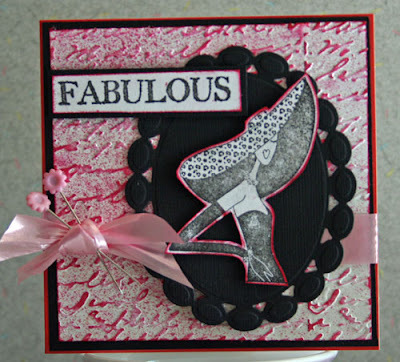 I then placed all my elements on a card base of Black Skinny Stripes which is an amazing paper - strong and durable. Don't forget to check out the store for some awesome papers. I love working with acrylic, but I find it is such a challenge to take a good photograph of the card. The card is an acryllic sheet by Hambly and I used my Scor-pal to create the fold. This gave it a really nice score line. 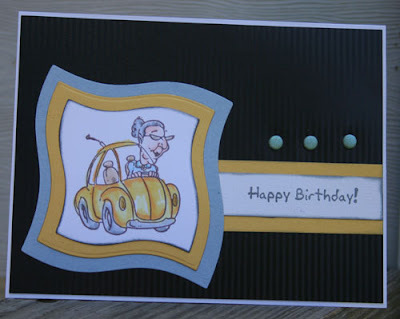 I used Denim Mix'd Media Inx around the edge of my card for a little dimension. Using one section of a Design Adhesive and Designer Foils, I added it to the bottom of the my card. They work amazing on acrylic!!! and Autumn Hay Cardstock from Papertemptress along with some Prima pattern paper. I lightly inked the Autumn Hay Cardstock with Chiffon Mix'd Media Inx". To finish, I added Twine around the card, placing it on an angle and tying it off on the left side. Clearsnap has some amazing tools in their arsenal and I've discovered how awesome the Memory Essential Get Rollin Wheel is. 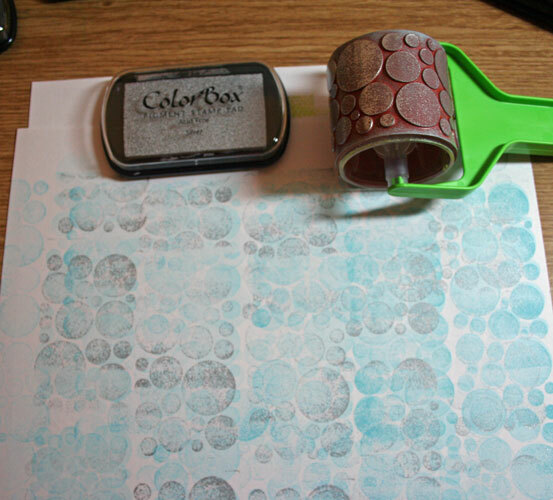 This wheel has a sticky backing (much like you'd use on an acrylic block to mount your stamps before stamping. I decided to add a Molding Mat to the Memory Essential Get Rollin Wheel to create some fun patterns for the background of my card. This is how the mat looks when adhered to the wheel. Try playing with assorted stamps for different looks. I inked the mat with Mermaid Archival Dye Ink and rolled across my paper, reinking as needed to complete the background. I then turned the paper 180 degrees and inked with Robin's Egg Pigment Ink. 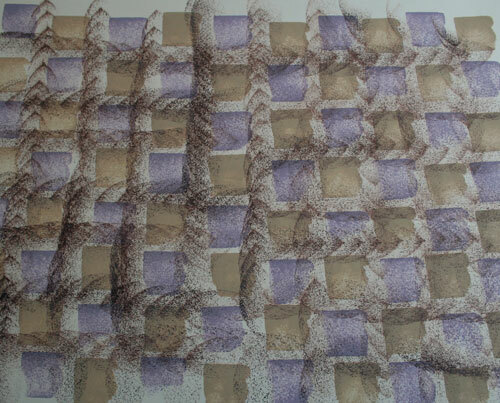 Then I turned the paper again and inked the wheel with Silver Pigment Ink. I then cut my pattern paper to size, and then embossed it with a Cuttlebug Embossing Folder, inking the raised areas with Canary Pigment Ink. This really brought the words to life. To finish my card, I added an image from PaperLoft which I first inked with Chestnut Roan Fluid Chalk Ink. This is such a fun tool to play with. I'm thinking about all the fun patterns I'll be able to create with my stamp stash!!! Summer is drawing to a close and what better way to celebrate Summer than by showcasing summer projects. Check out today's posting at Scor-pal to get all the details of today's hop. I created this card using an assortment of products, showcasing how amazing the Scor-pal is. Since my card was a little plain around the edges, the Scor-pal added just the right amount of definition. I cut my striped pattern paper into a block, then scored around the block twice 1/4" apart. A light swipe of white ink helps the score lines show up. 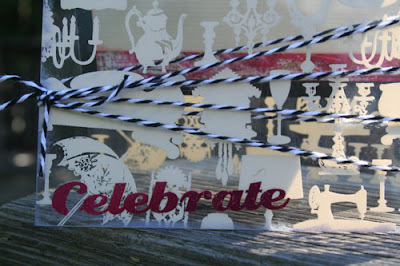 Reversing my striped paper, I used the words to create the focal element which I backed with cardstock. I then wrapped Twine around it before adhering it to my card. 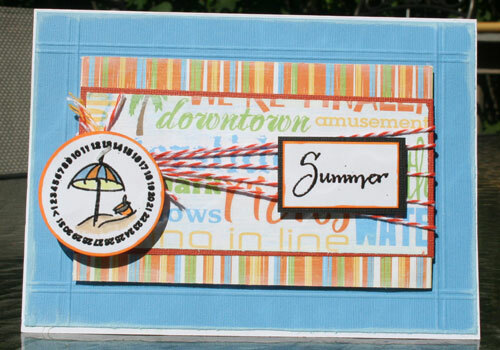 Summer was stamped in black ink, embossed and mounted on cardstock before adhering it to the card with foam adhesives. 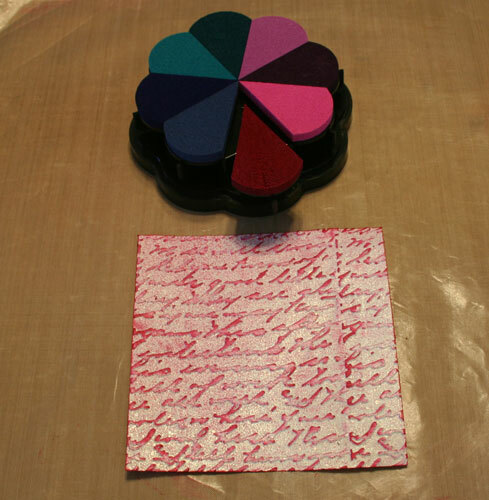 The circular image was stamped on which cardstock, colored with Copic Markers and added to the card with a paper tagger. Sometimes less is more when creating a stunning card. 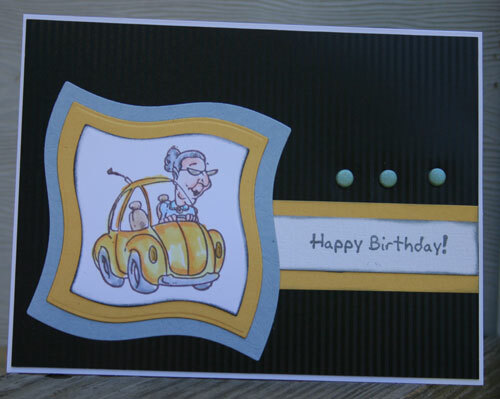 Using my Scor-pal and Design Adhesives and Designer Foils from Clearsnap, I created a very quick and easy birthday card. My card measures 5 1/2" x 5 1/2". I scored the cardstock in half to create the card, then scored at the 10", 10 1/4" and 10 1/2" marks to create the bottom border. After folding the card in half, I spritzed the card front with Vanilla Smooch Spritz. It's very pretty, but unfortunately, it's a little hard to see how shimmery the background is. Then I lightly sanded the edges of the card. 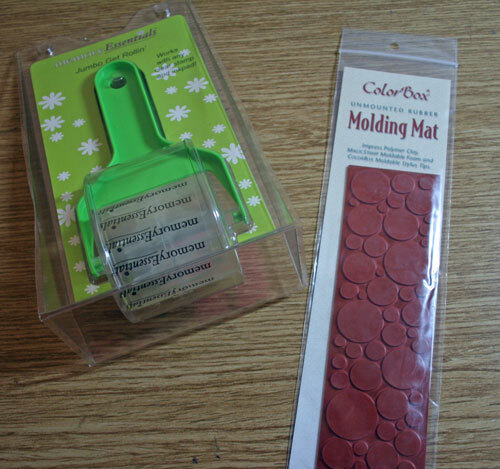 The Design Adhesives are created in such a way that you can use the entire piece or cut it apart. I chose to cut out and use just one of the words. Then using Designer Foils, I covered the word. I chose to work with a piece of Foil that I had already used because I wanted to show you that you can reuse the Foil if there are still areas that were not used before. You just need to keep moving the Foil and rubbing until your word is completely covered. I also cut apart the Cupcake Design Adhesives and used one cupcake as the focal point of my card. I placed it on white cardstock, then covered it with Foil. I then adhered it to a Scalloped Nestability Square. For the interior of the card, I cut white cardstock 5" x 5" and then scored 1/2" around, then inked the edges with Clearsnap's Honey Mixed Media Inx. 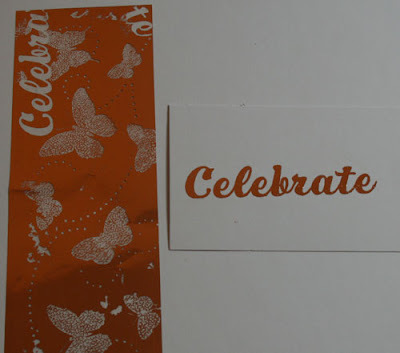 Using a Party Design Adhesive, I placed it in the upper left corner and then embossed it with Gold Embossing Powder. 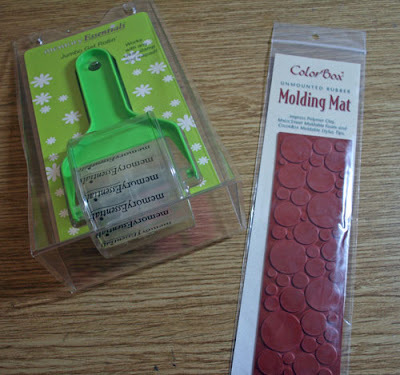 So you can see that the Design Adhesives work with Foils, Embossing Powders and even glitter. How fun is that! 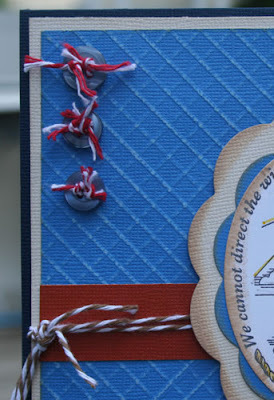 To finish, I wrapped Cappuccino Twine around the center of the card, then added my elements with foam adhesives. Good morning. 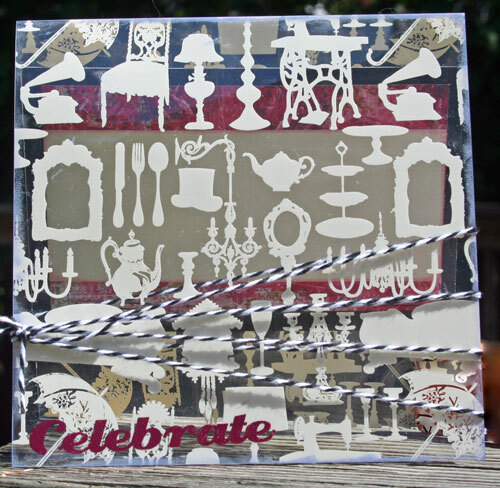 I love making cards and using the Papertemptress papers makes every card you create absolutely stunning!!! My card today showcases 4 paper selections and a different shaped card. 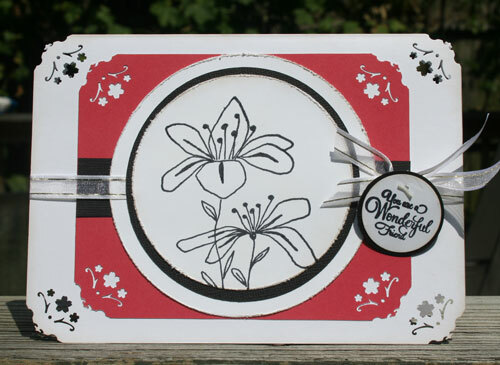 I used Poison Ivory as the base of my card, creating a 3 1/2" x 9" card. Since my paper was 11", I scored my cardstock at 9", allowing for a 2" flap. As I wanted a longer flap, I added an extra piece of cardstock on top to create a 4" flap. I then added Canyon Brown to the top flap (inside and out) to cover the joined area. Jellybean Green was cut to fit the inside. 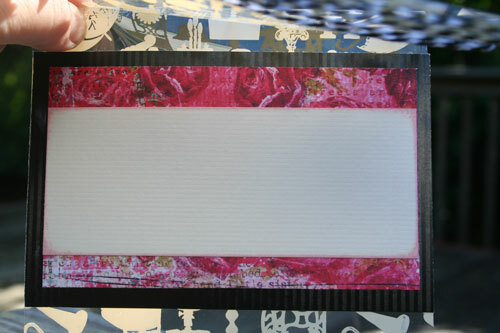 Using Clearsnap adhesives and foils on Neenah Solar White , I created the font panel of my card. I inked the edges then matted the panel to Jellybean Green, Canyon Brown and Poison Ivory . While these layers allowed the panel to pop and provided stability to my card, it did not add much extra bulk or weight. I used Clearsnap's Congratulations Design Adhesives and gently rubbed them on the cardstock. Peeling away the top layer, I added different colored Clearsnap Designer Foils to create the fun look to the sentiment. It was easy to do and I was able to reuse parts of the Designer Foils that I used in an earlier project - so NO waste!!! 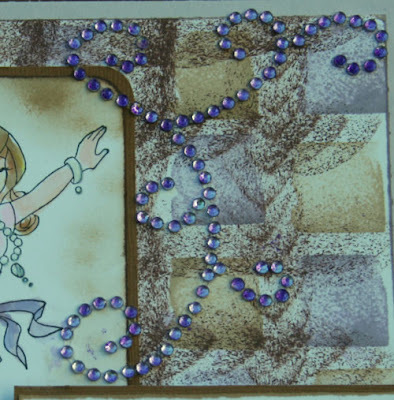 I then used Clearsnap's new Honey Mix'd Media Inx around the edges of my card for some more dimension. Did I tell you I love this new ink!!!!!! And working with the Foils is amazing!!! 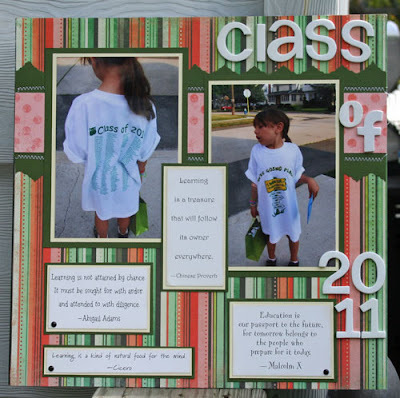 Welcome to the Clearsnap & Scor-pal Summer Fun Blog Hop 2011!! Our lovely Design Teams have created some wonderful summer fun projects with the Scor-Pal, brimming with inspiration and of course lots of Clearsnap inks! 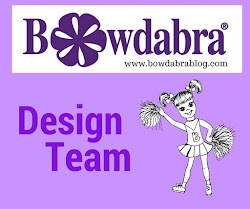 Visit each Design Team member's blog to see what inspiring projects they have to share. Leave a comment on each blog. We'll choose one winner form all of the comments posted to receive a prize pack from Clearsnap and another from Scor-Pal. 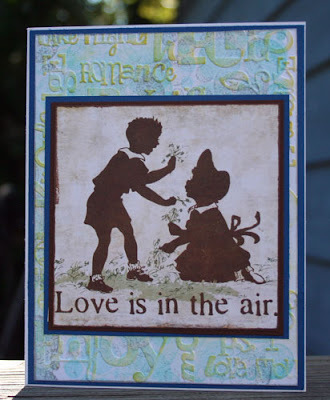 Today I am sharing with you an Easel Card. 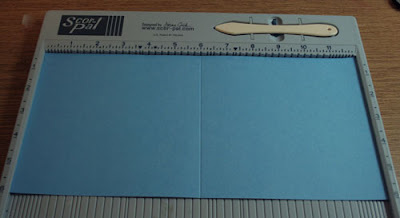 Starting with a piece of cardstock 6" x 12", place across the Scor-pal and score at the 6" mark. Using the Grand Nestabilities Scalloped Circles (3rd from the smallest), lay on top of the folded card, allowing the top edge to be clear of the cutting edge. This creates the edge that keeps the card as one piece. 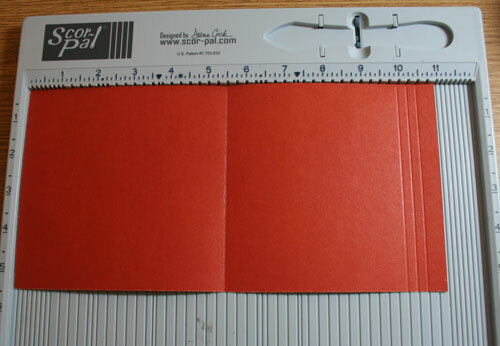 Once the card has been cut, open it and place on the Scor-pal again, and score at the 8 3/4" mark. Fold on this mark and add Scor-tape to the bottom areas as shown. 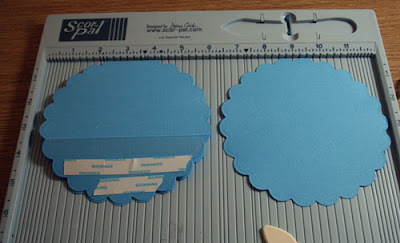 Cut another single layer scallopped circle with the same die. This will be used for the top of the card. Refold the card and lay flat. 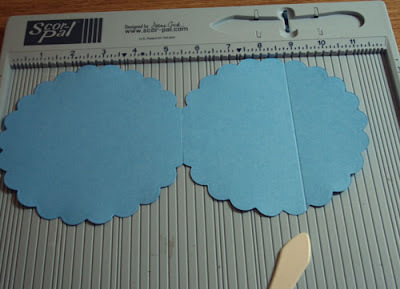 Align the single layer on top, matching the scalloped edges. This creates the Easel effect. 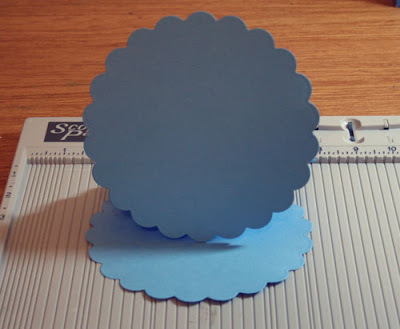 To finish my card, I cut 2 circles from light blue cardstock and one smaller circle from white. 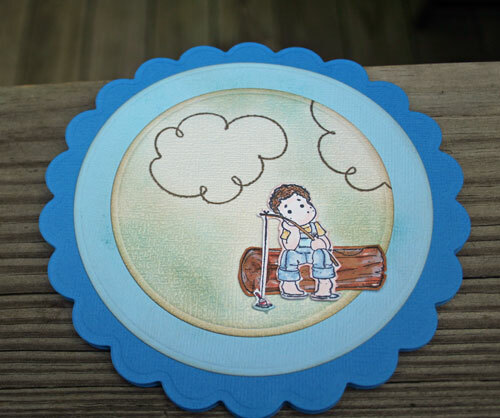 On the white circle I stamped clouds with Chestnut Roan Fluid Chalk Ink, then lightly sponged Robin's Egg Pigment Ink about the panel. I stamped, colored and cut out my Magnolia images and placed them on this piece. The little fisherman ponders while fishing in the stream. Then I used Chestnut Roan Fluid Chalk Ink around the edge of the panel. 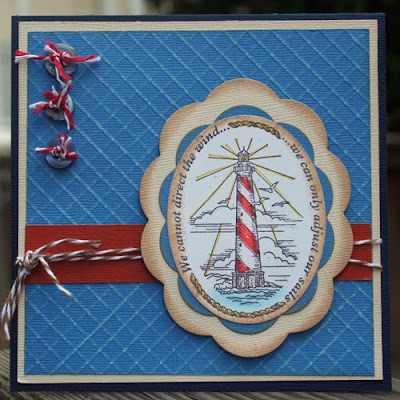 The Magnolia Ink sentiment was stamped with Chestnut Roan, then cut and mounted on blue cardstock. This was added across the center of my card with foam dots. This gives the card it's resting place so that it stands up. Once I was done, I spritzed Ginger ale Smooch Spritz on the card. It's a little hard to see, but it gives a nice sparkly finish to the card. 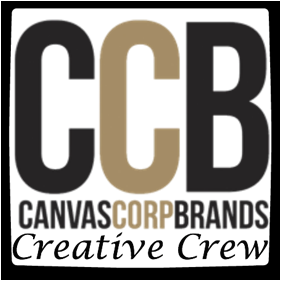 Please continue along the hop, stopping at each designer's blog for some great inspiration! 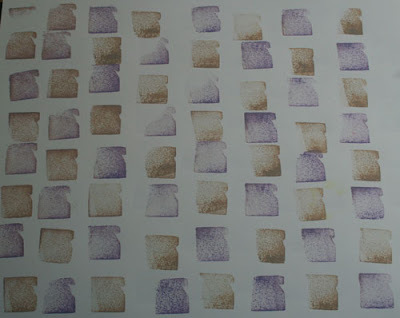 Yum - I've been using the new Stephanie Barnard Inks from Clearsnap. These ink pads are extremely juicy and take to glossy paper really well. 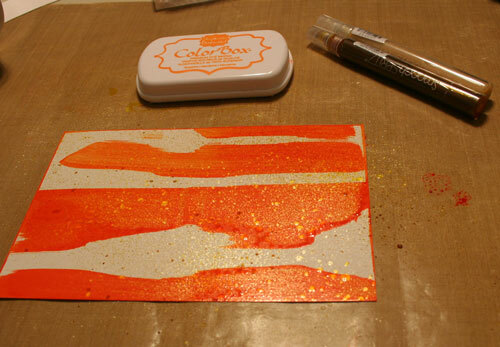 I used Pumpkin Ink and swiped it across my card base, then spritzed it with Gingerale Smooch Spritz. Since I wanted more dimension, I then ran it through my Cuttlebug machine with Swiss Dots, then lightly inked the raised portions with Licorice Ink. What a great combination! 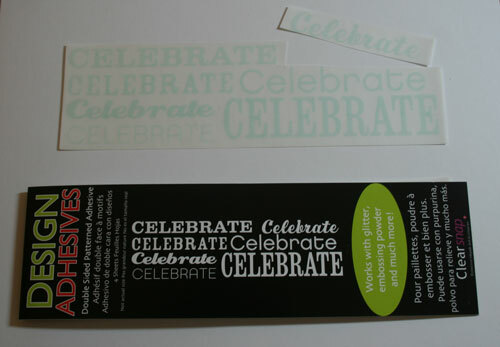 Then I stamped my image on glossy cardstock with Licorice and embossed it with Black Embossing Powder. I cut the image with a Circle Nestabilities and matted it with cardstock. After wrapping some ribbon around the card, I sewed the image to the left side. A little Pumpkin Smooch was added to the moon in the corner. Too sweet, don't you think? Good morning. There is something so right about creating with black, white and red. I love the color combination. Today's card at Just Imagine Crafts features punch 921, one of my favorites, along with the Circle Cutter, another favorite! My card is 5" x 6 1/2" and I punched each corner, then lightly inked them. I cut a smaller mat of red to fit inside my punched area and also punched the corners. I stamped my image on white cardstock and used the Circle Cutter to cut it to the size I wanted. Because the stamp was larger than I needed, I had to cut off part of the image. That is the beauty of using the Circle Cutter - if you need to make the circle smaller after you've cut it, you can, without a problem. I then cut a larger mat from black and another larger white circle. All the edges were distressed and lightly inked. I added a strip of black cardstock and ribbon across the center of the card which was tied into a bow on the right side. 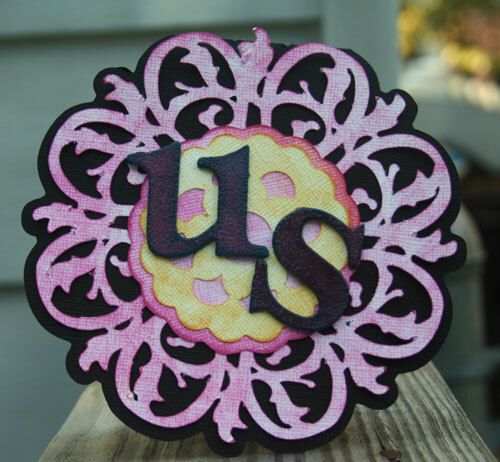 The sentiment was stamped on white cardstock and also cut with the Circle Cutter - you can make any sized circles you need. Then a larger black circle was cut for the mat. The sentiment was added to the bow with a paper tagger. I first stamped the image and sentiment on white cardstock with black ink. 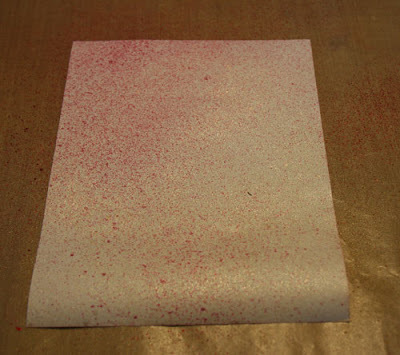 Next, I spritzed the white cardstock with Smooch Spritz in Cosmic Pink, Gingerale and Pralines & Cream, adding a nice shimmer and shine to the paper. Because I wanted to work with this paper immediately, I heat set it to speed the drying process. I then embossed the paper with an embossing folder and used Ruby Ink around the edges and across the raised, embossed image. It's easy to ink just the areas you want using this unique style of ink pad because the pad is raised away from the base and the Petal Point allows for more precise control of where the ink is applied. I cut out the image and inked the edges with the Ruby Petal Point ink and added it to the diecut black oval with foam dots. 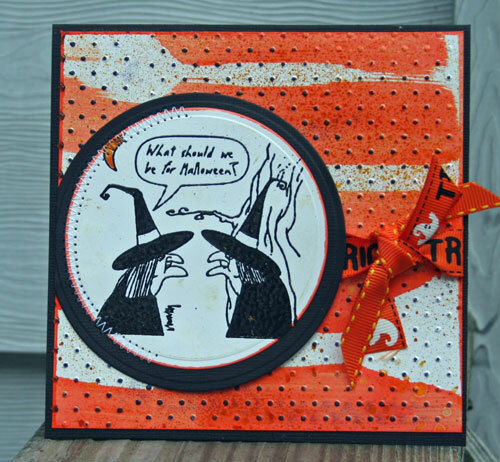 The sentiment was also inked, matted with black cardstock and added to the card with foam dots just above the image. Stick pins were added to knot of the ribbon just for fun. I adhered the finished patterned paper to black cardstock, added a ribbon around the card, then placed the embellished die cut oval on top. 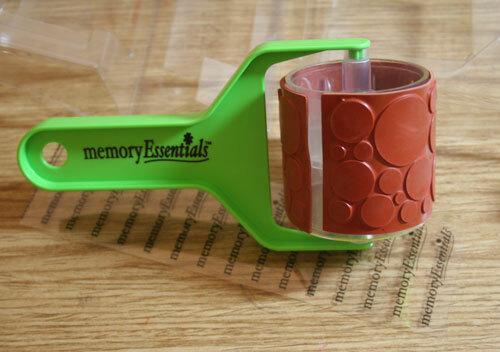 Good morning one of the new products appearing at CHA was Clearsnap's Memory Essential Terrific Tool Tips . Here's a fun way to use the Tips. 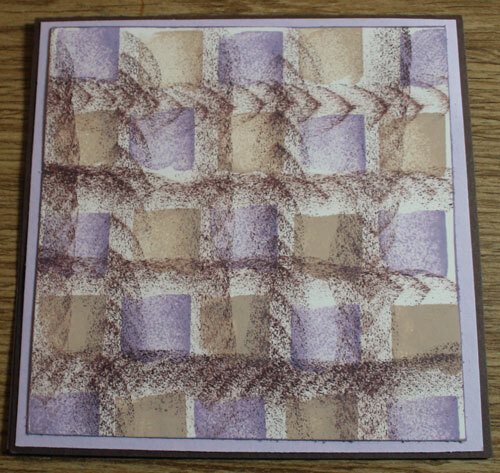 Using the square tip, alternately dab Wisteria and Creamy Brown across white cardstock. Using Cat’s Eye Dark Brown, run the ink pad between the patterns created by the other inks. Cut the paper to 5"x5" and ink the edges with Dark Brown. 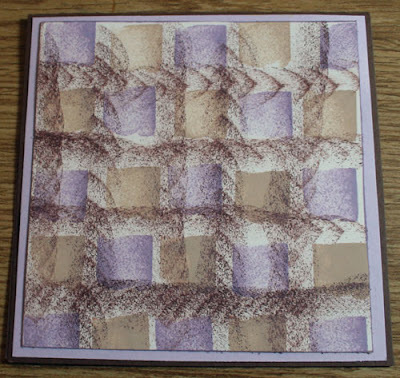 Mat onto a piece of lavender cardstock, then mount onto a brown card base. This is a look at the final background I created. 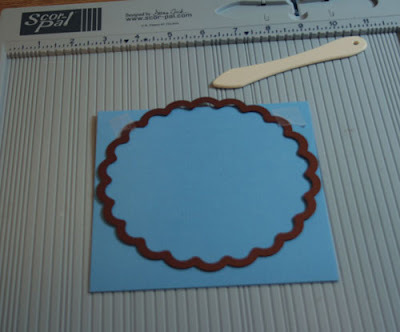 Cut a scalloped shape from a Spellbinders die and adhere to the left side of the card, adding a strip of brown cardstock to finish. 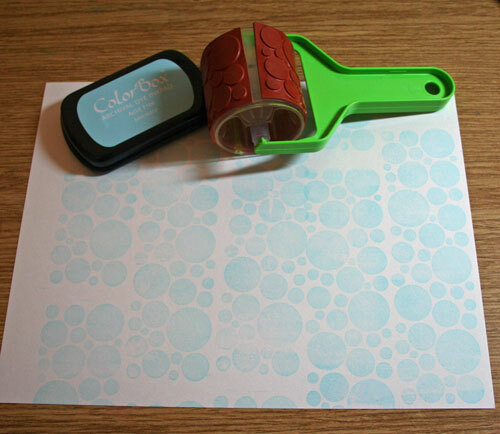 Stamp the image on white cardstock and color. Cut the image into a rectangle and corner round the edges. Ink the edges with Dark Brown ink, then sponge Creamy Brown around the image. Mat with cardstock and adhere to card front. 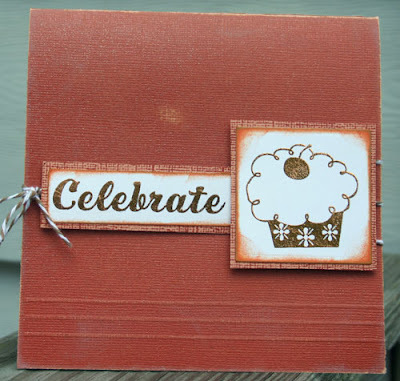 Stamp sentiment in Dark Brown and emboss with Pearl Embossing Powder. This provides just a hint of sparkle. Ink edges with Creamy Brown and mat with cardstock. 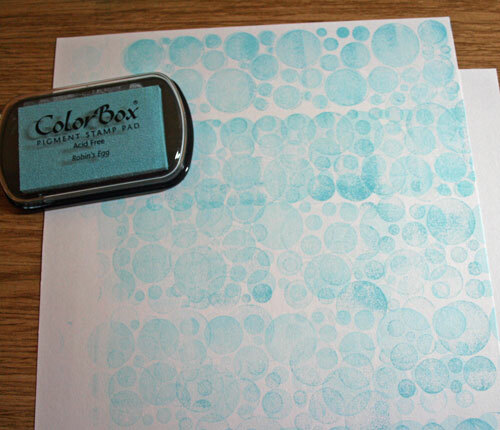 Adhere to card with foam dots. 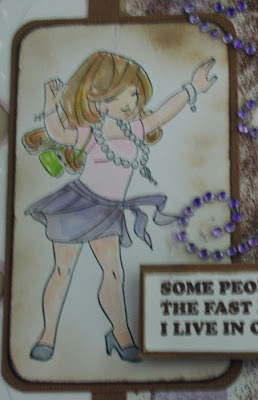 I added a rhinestone swirl to the card, but it did not stand out – so, out came my Smooch and I painted each rhinestone. Today we are excited not only about our very first Scor-pal blog hop but also to be celebrating the first anniversary of our friends at The Twinery. 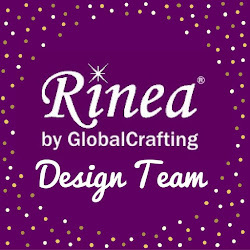 These two teams have joined forces for an amazing line up of projects that will show you the wonderful things you can create using your Scor-pal along with baker’s twine from The Twinery! From boxes and bags to cards and 3D projects the creativity by these two teams is sure to please. If you came here by way of Caroline Stender's blog, you are on the right track. If not, make sure you start at the beginning over at The Twinery's blog because there are terrific prizes for those who complete the hop by commenting on each blog. Since The Twinery is celebrating all week, you'll have five days to enjoy this hop, so relax and have fun! 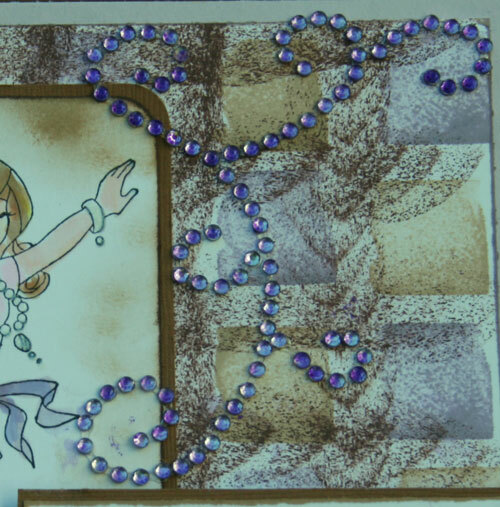 My project uses the Scor-pal to create a background of diamonds for my card and I've used various twines from The Twinery in my buttons and around my card. 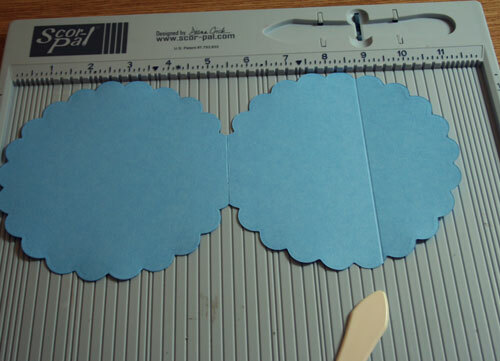 I created the dark blue card base from cardstock and, using my Scor-pal, I scored the cardstock in half. I then cut a slightly smaller piece of cream cardstock and adhered that on top. 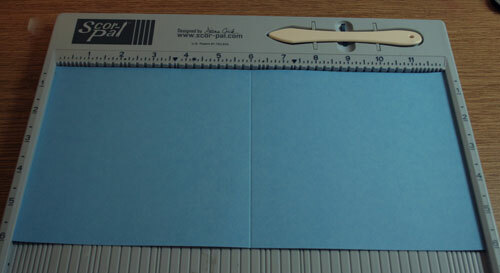 I cut the light blue cardstock 5" x 5" and, using my Scor-pal, I scored on the angle every 1/4". Once done I flipped the cardstock and scored again, creating a nice diamond pattern for my card. I stamped my image using the Justrite By The Sea set and colored it with Copic Markers and Spica pens. Using Nestabilities, I die cut the image and the scalloped ovals, lightly inking the edges with with Clearsnap's Mix'd Media Inx. 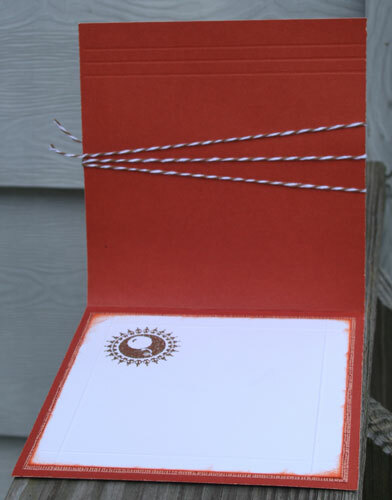 I added Cappuccino Twine around the center of the card, wrapping it twice, then tying it off at the left side. I then used Maraschino Twine to adhere the buttons to the upper left. I'm so glad you stopped by! I hope I've inspired you to give the Scor-pal a try. Please make sure you leave a comment on my blog because there are terrific prizes for those who leave comments on each designer's blogs! The deadline for commenting is 11:59pm EST, Friday, August 19th. Your next stop on the hop is Angelica Suarez's blog . 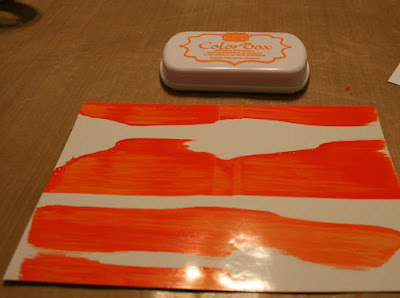 It's time for another color challenge on the Clearsnap Blog . 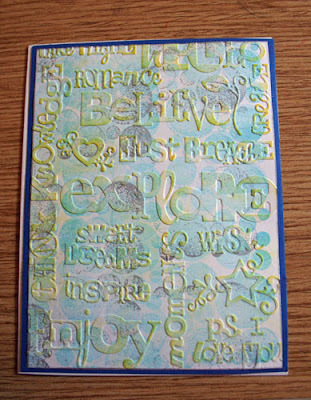 Using Deep Lagoon, Berrylicious from the "Big Top" ColorBox Fluid Chalk Ink Queue , I created this card. 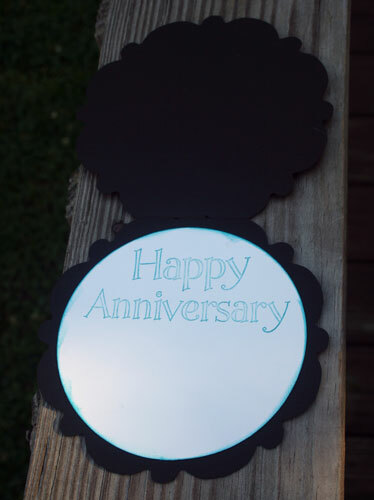 I cut the card shape using my Cricut and Gypsy. The design was cut on white cardstock using the Damask cartridge. I then inked the design with Berrylicious, and used Butterscotch on the center. Thinking I'd make an anniversary card, I inked my chipboard letters with Berrylicious and Deep Lagoon, then added Clear Embossing Powder. I added the letters to the center of the card. I cut a large circle for the inside and inked the edges with Deep Laggon. 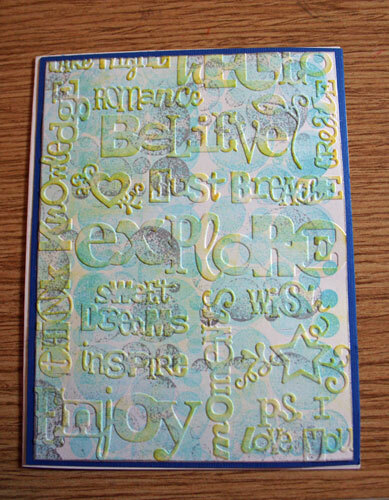 I also stamped "Happy Anniversary" in Deep Lagoon as the inside sentiment. I just love these photos of my friend's granddaughter. Using Kreaxions Punch 918 , I took the negative portion for this layout. I love that these punches allow you to be able to use all parts of the punched pieces. I punched two strips long enough strip to fit my page, then stitched them to my layout.